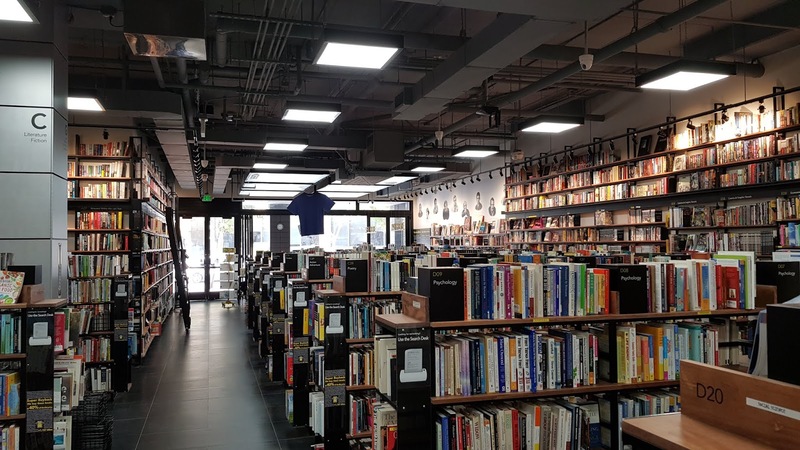 Congratulations Fully Booked On 16 Years ! 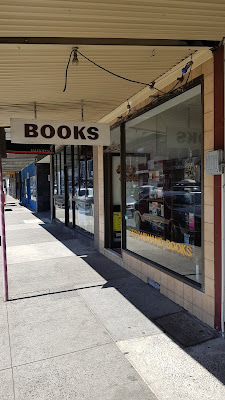 No visit to Thornbury is complete without a visit to the secondhand book store Fully Booked. This store always has a wide variety of books and new stock every visit. 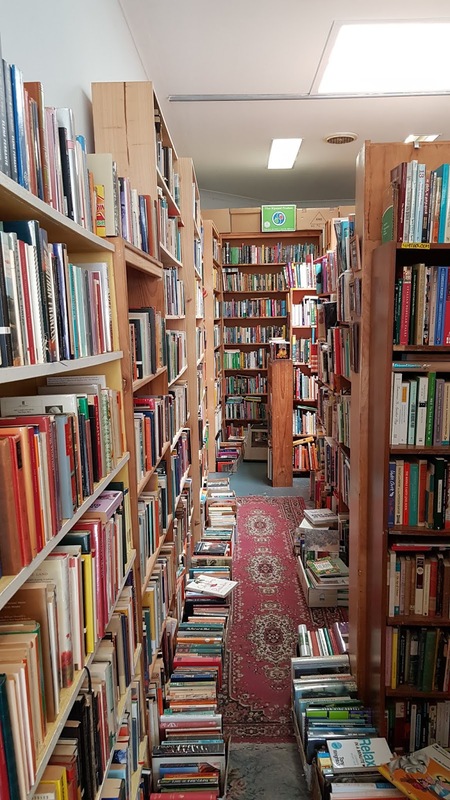 So when I was in the area today I knew I had to quickly drop in and see how Rallou and Tadhg, the two owners, were travelling. 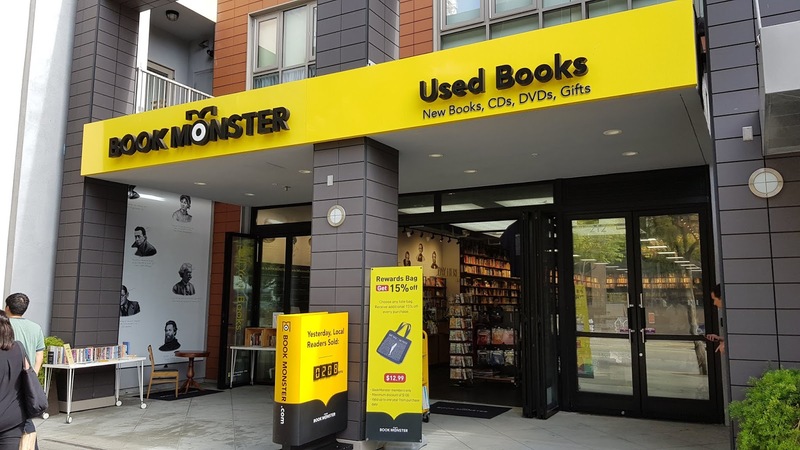 As I entered the store both were standing behind the counter, smiling and chatting to a customer. 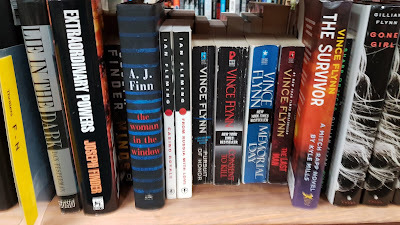 They greeted me with a smile as I said "Hi" and made my way to the "Spy Fi" section near the back. 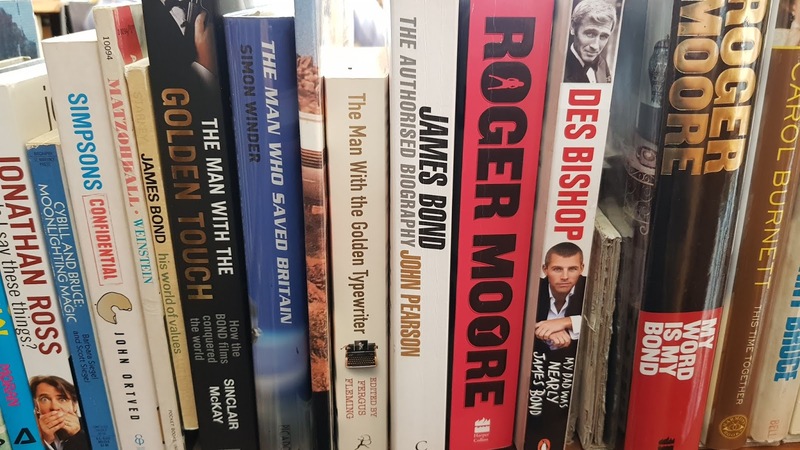 In the movie section I checked out their large Bond section which included a few titles I'd not seen on Australian shelves before. 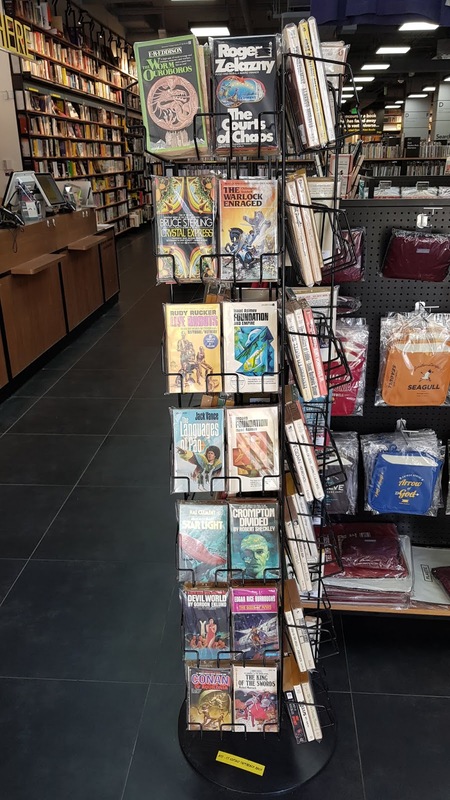 After perusing the books I returned to the front of the store. There I had a chance to chat with Rallou and Tadhg myself and during the conversation they disclosed that today they were celebrating the store's 16th anniversary. 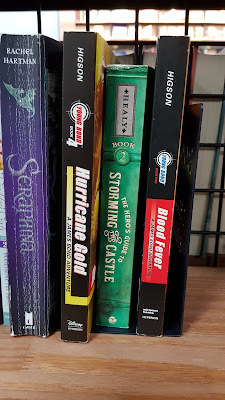 So again I'd like to give a huge congratulations on their first 16 years, and well wishes for many more. 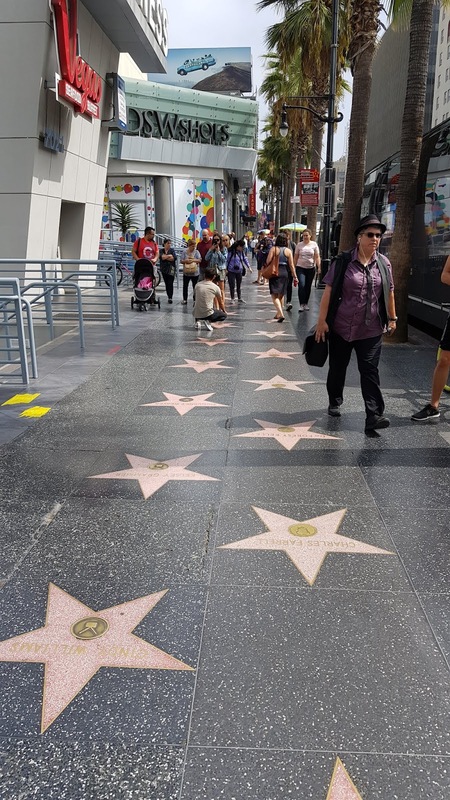 Well done guys ! I know there are a lot of James Bond fans out there who dislike the film "Never Say Never Again", however I personally enjoy it. My only reservations are (1) the slow underwater ending (obviously "Thunderball" also suffers this same fate) and (2) the lack of the official James Bond theme music (however I do like the Lani Hall theme song). 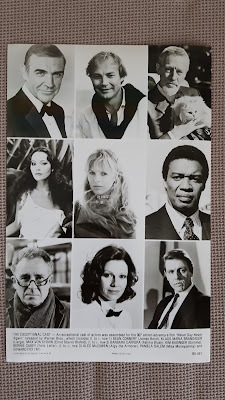 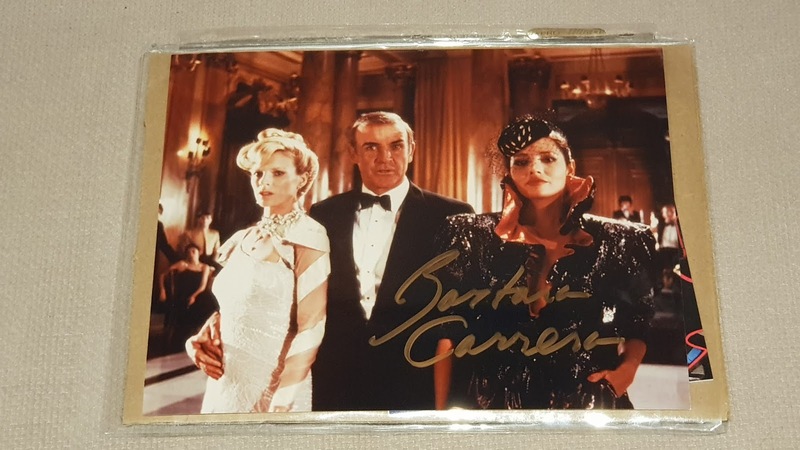 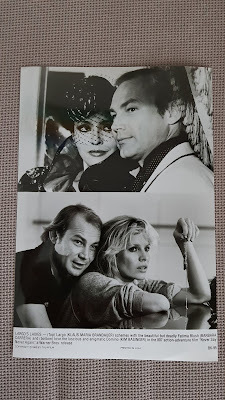 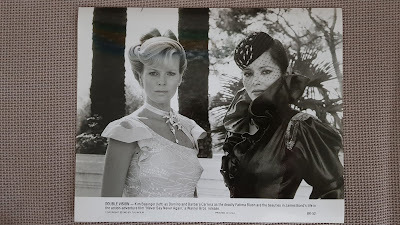 So I was rapt the other day to purchase and then receive this photograph signed by Barbara Carrera. 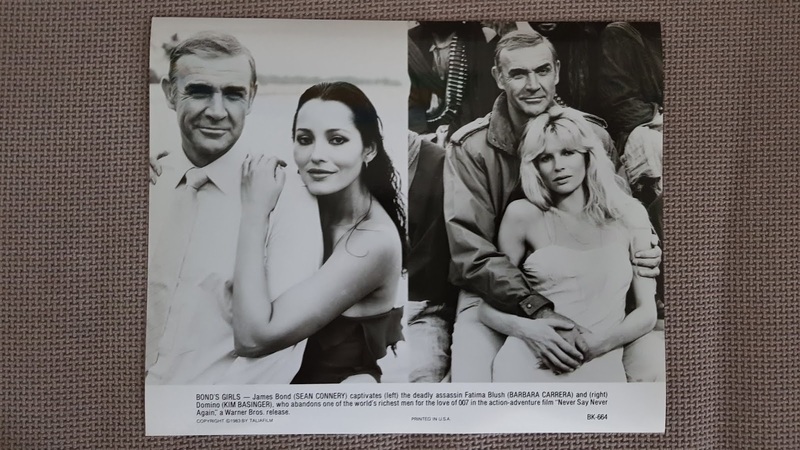 Fatima Blush is definitely one of my favourite villians of all the Bond films and I especially like this shot with Kim Basinger and Sean Connery. Finally, if you're reading this and your occupation is to authenticate autographs please don't tell me this signature is a fake. 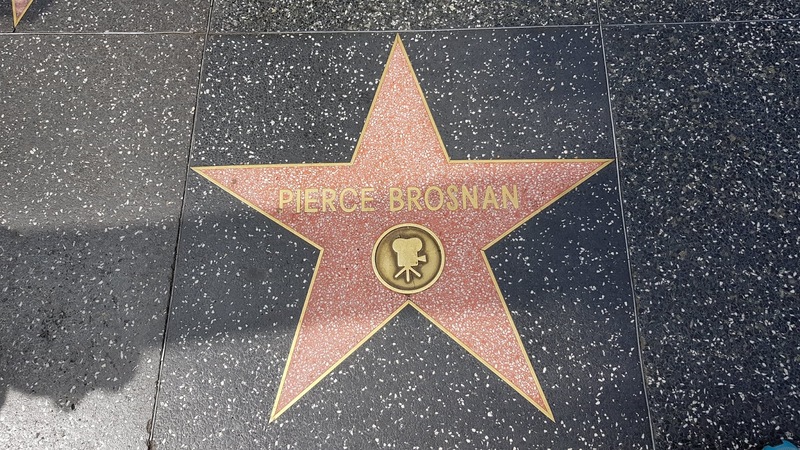 I'd be very disappointed ! 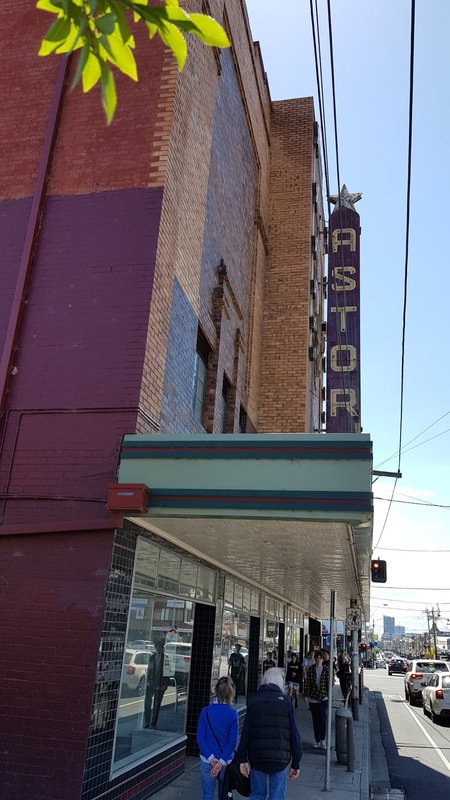 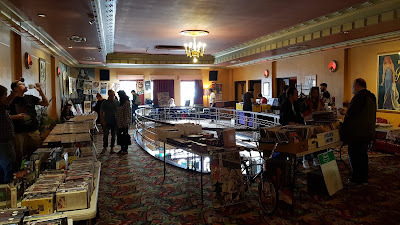 A couple of weeks ago I visited the Astor Theatre in St Kilda for the Melbourne Movie Market. The indoor market has numerous stalls selling film related items and has existed for around two years. Last December my wife and I even held a stall there. 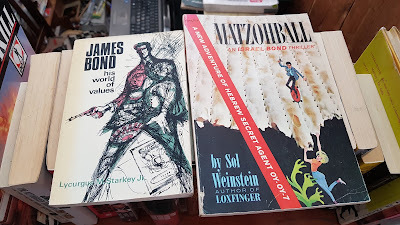 But this Saturday I was there purely as a potential customer, on the hunt for Bond. 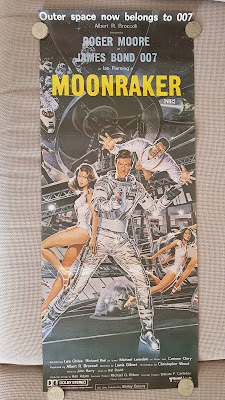 There were over 20 stalls and I managed to find two Sean Connery signed photos, a "You Only Live Twice" film programme, model cars, two laser discs and a VHS tape. However the only thing I purchased was this daybill of "Moonraker". This is the second daybill of this film I own, however the other has a white border. 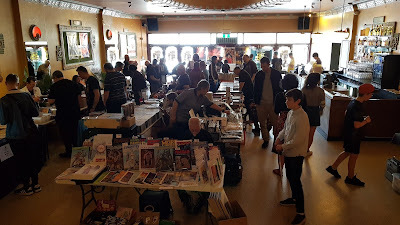 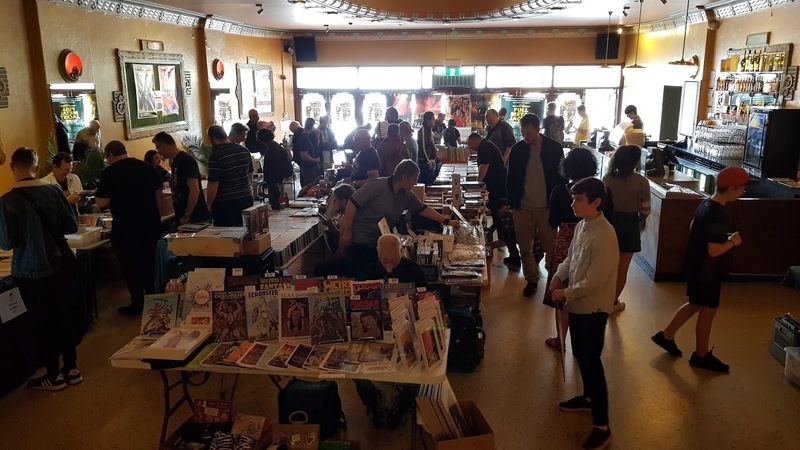 The Melbourne Movie Market seems to occur at least twice a year so if you get a chance I definitely recommend the $5 entry fee to visit. 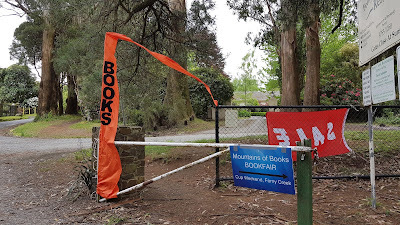 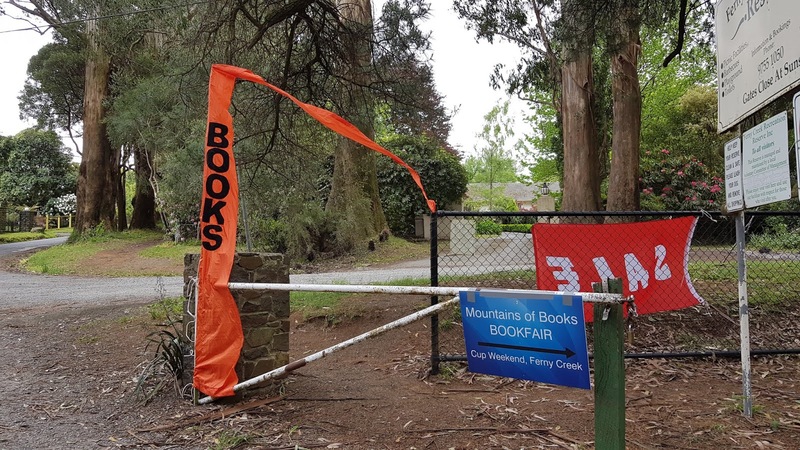 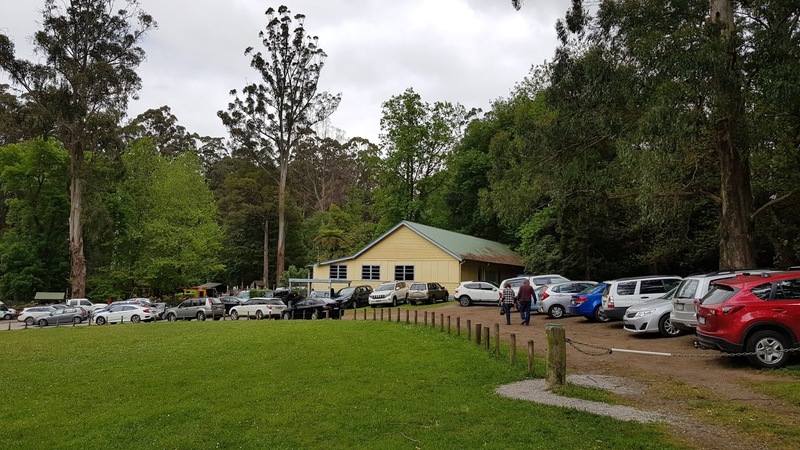 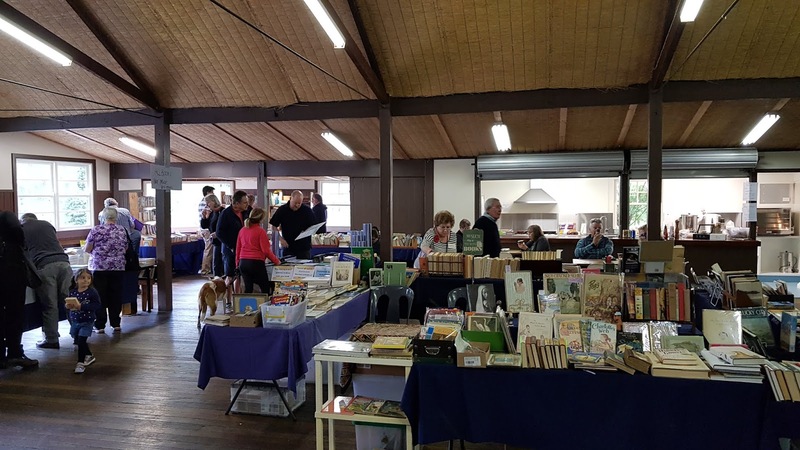 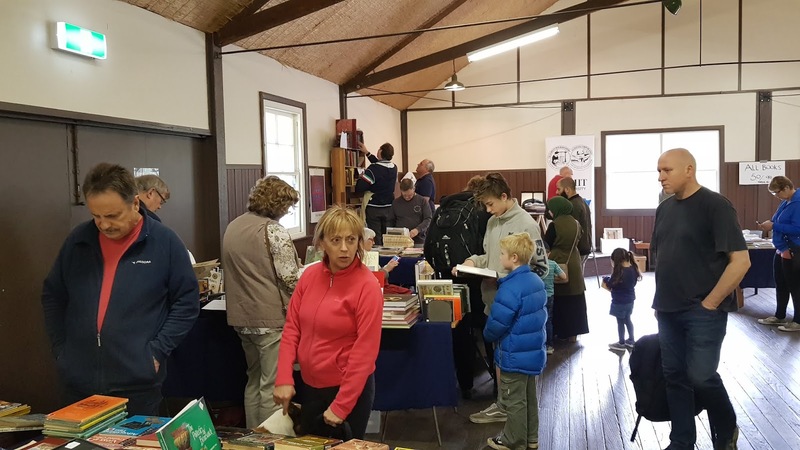 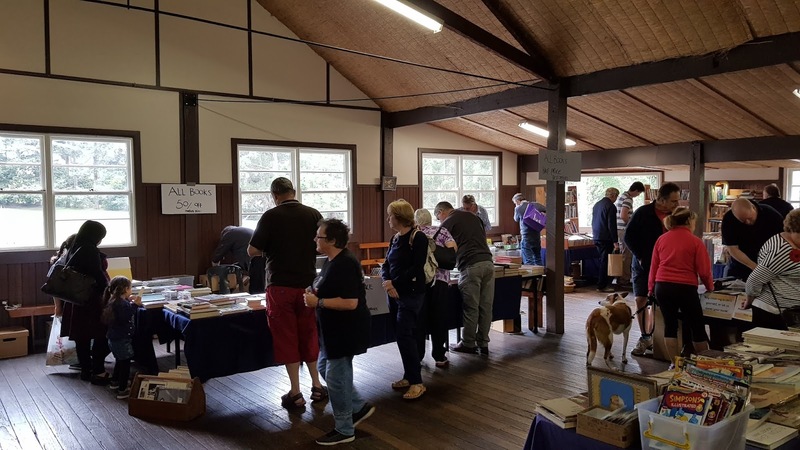 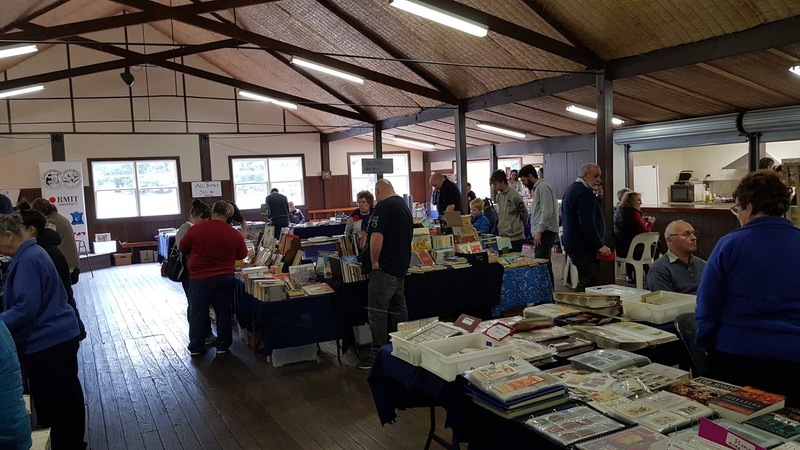 After a one year absence the Mountain Of Books Fair returns to Ferny Creek in The Dandenongs this weekend. 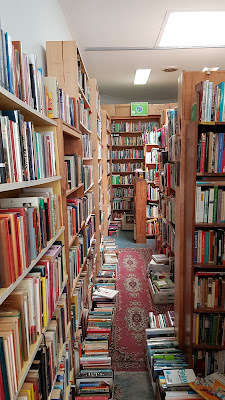 I visited this morning, hoping to pick up a bargain or two. When I arrived there were already plenty of people moving amongst the stalls. 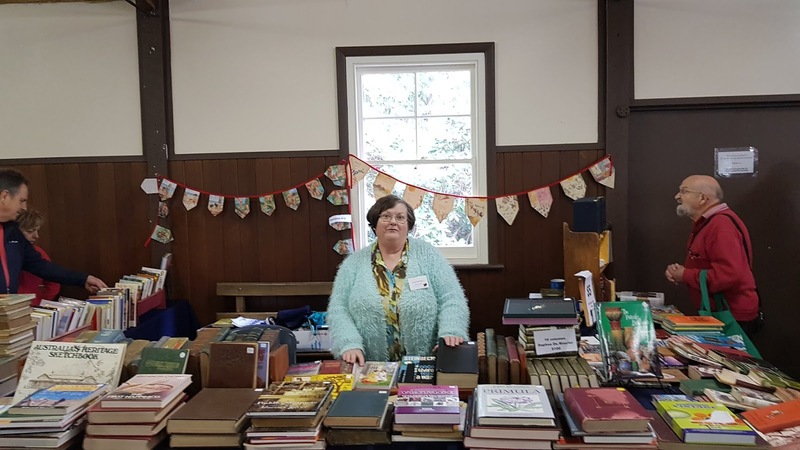 I spoke to Meryll from Rainy Day Books to congratulate her on organising the book fair again. And I checked out all the stalls too. 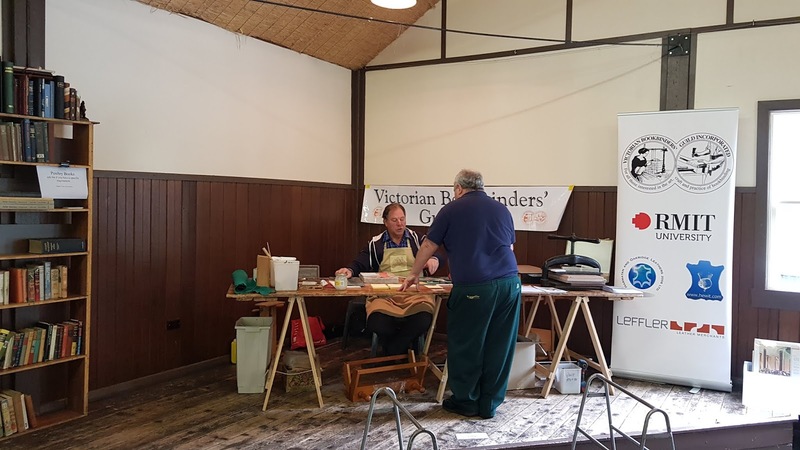 The Bookbinders' Guild of Victoria were giving a demonstration of their work. There were plenty of books for sale on a huge variety of subjects. as well as these Bond paperbacks. 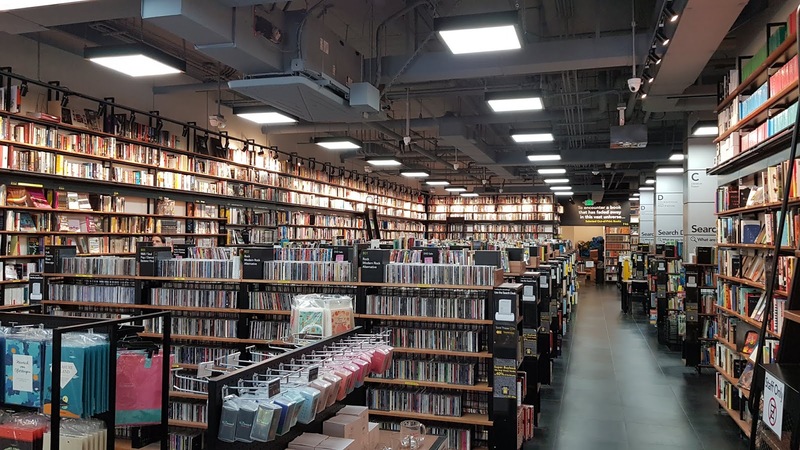 Unfortunately I already had copies of all the books above. 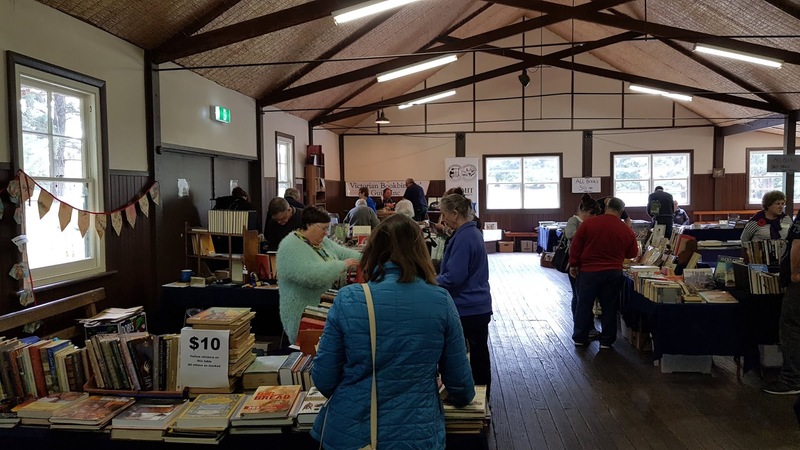 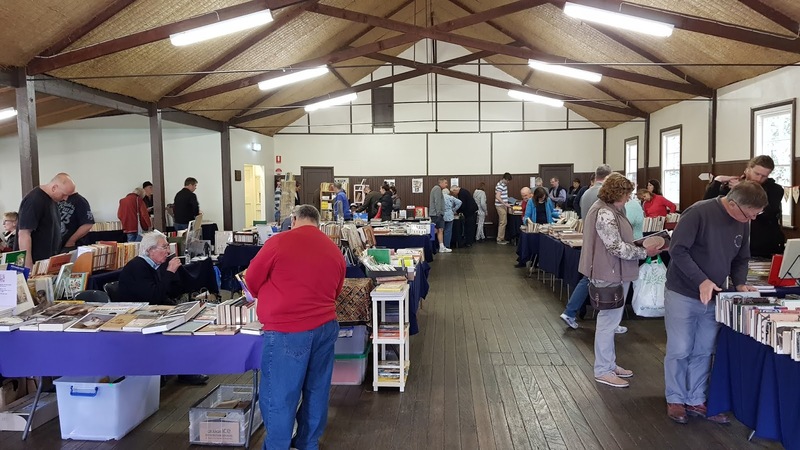 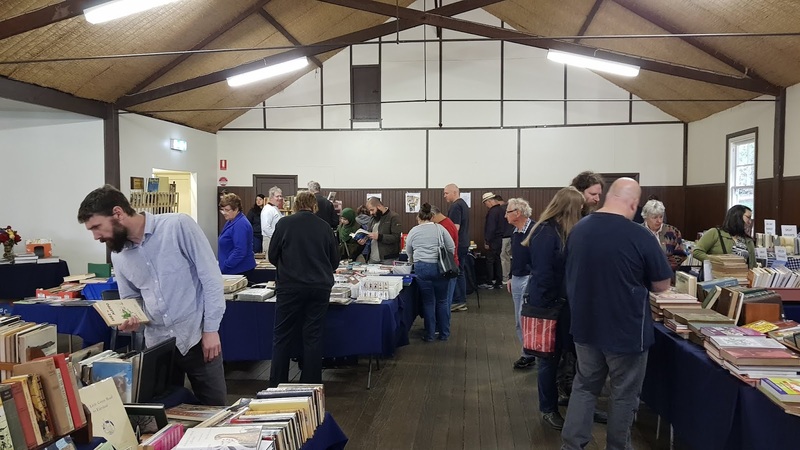 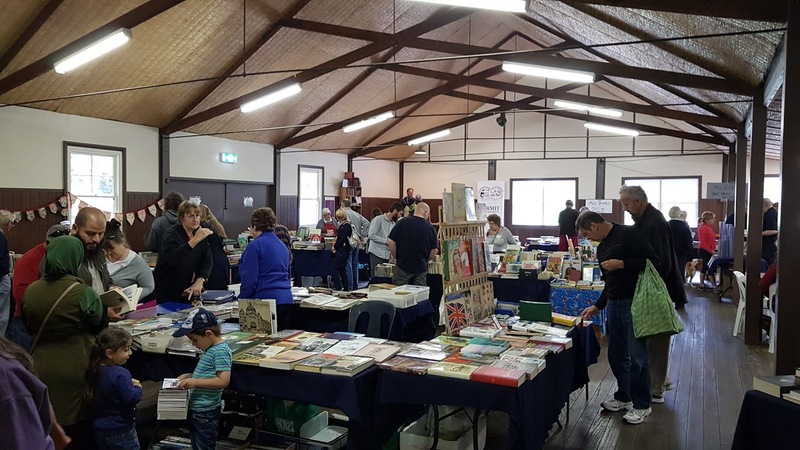 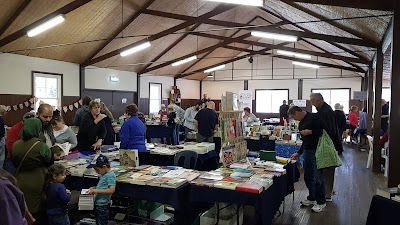 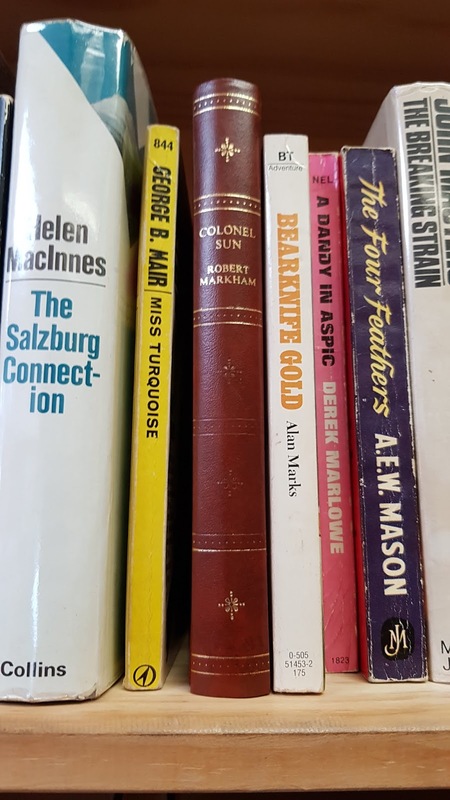 However the Mountain Of Books Fair continues tomorrow (Sunday) from 10am to 4pm, so they may still available for some other lucky collector/book lover to purchase. 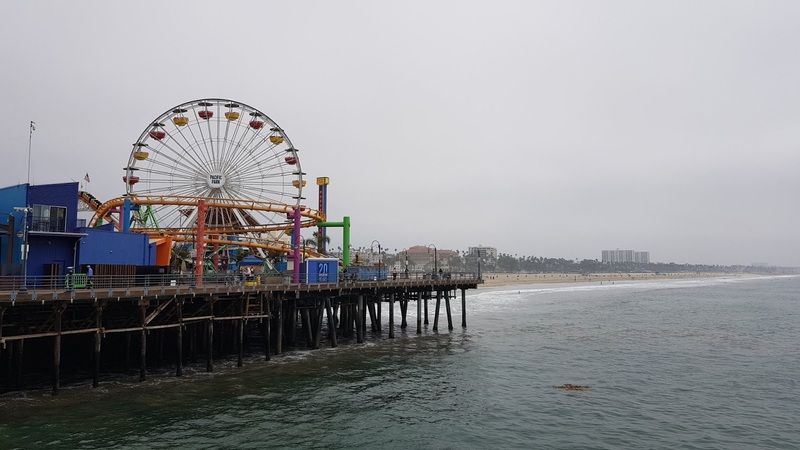 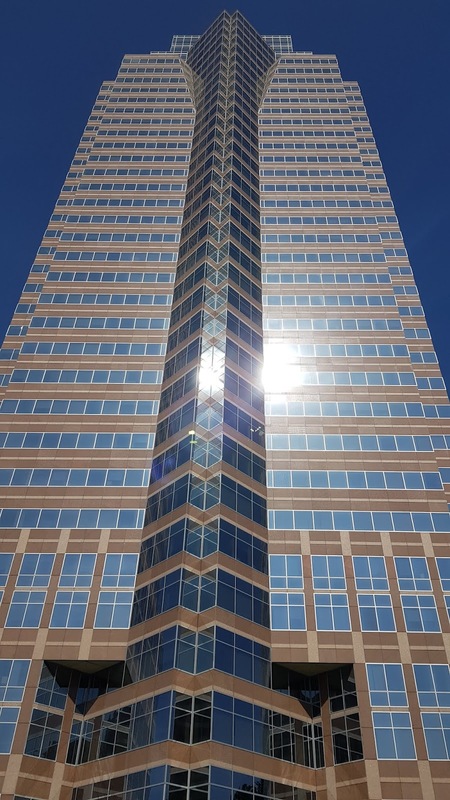 The final city we visited on our recent whirlwind trip to the US was Los Angeles. There we hired a car and drove to Santa Monica to visit Book Monster. 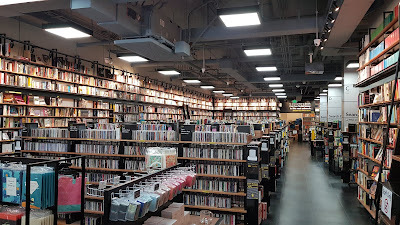 This store is great. 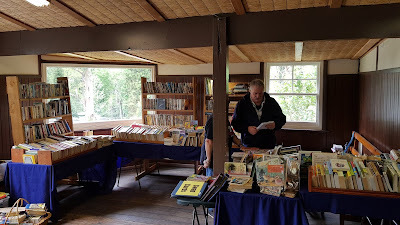 It's really well organized with lots of secondhand books. 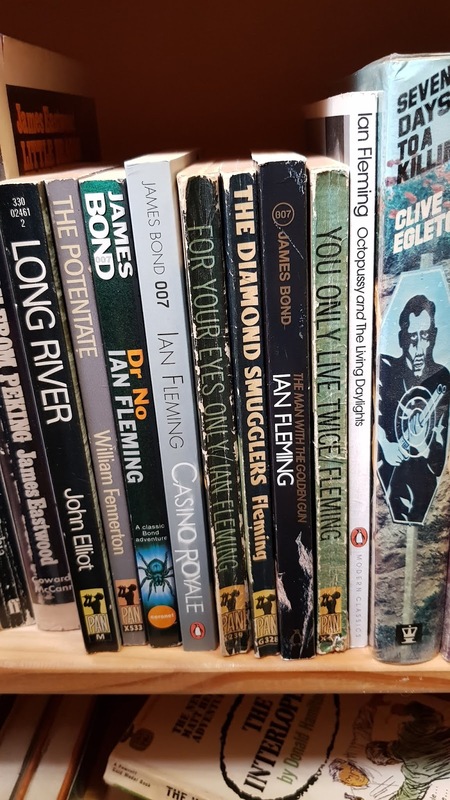 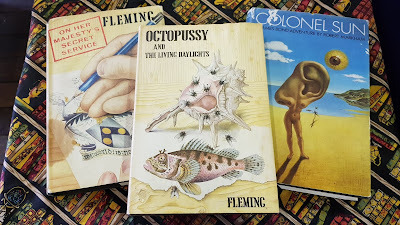 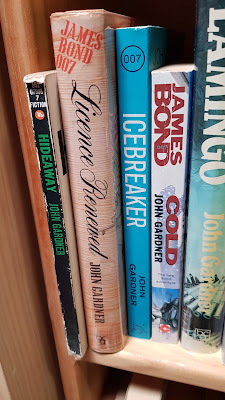 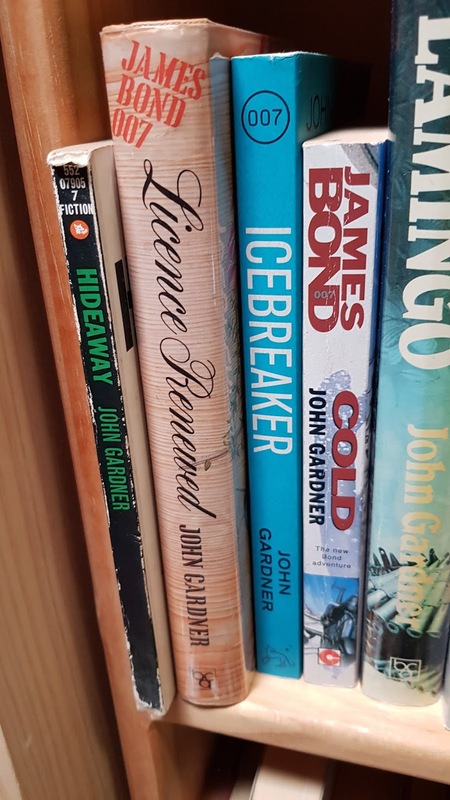 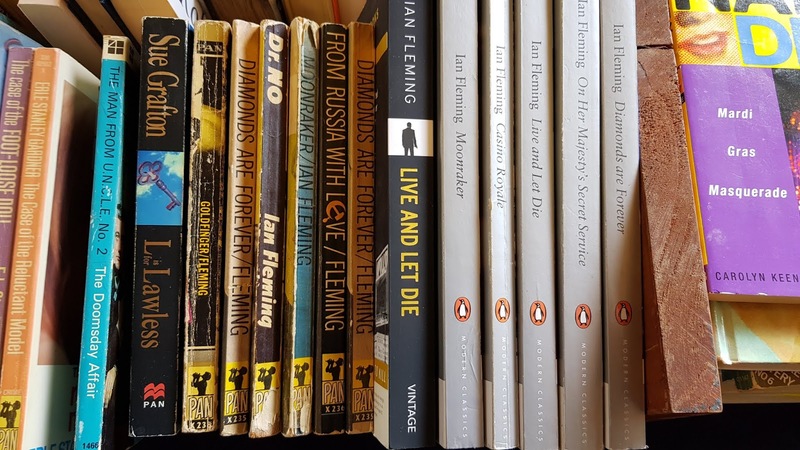 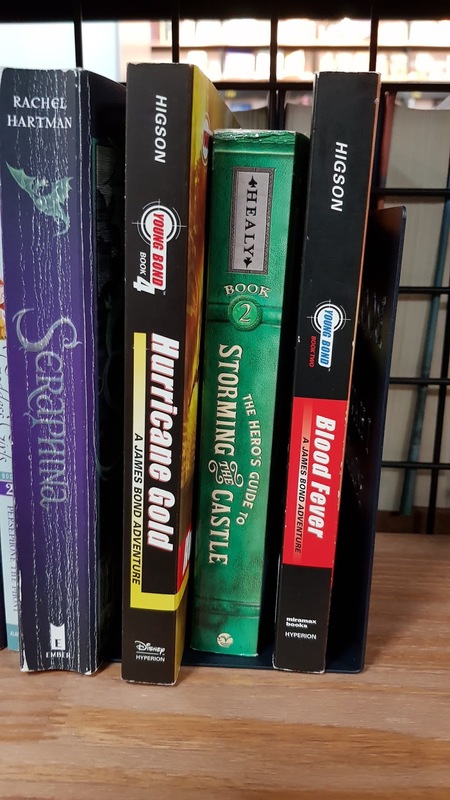 I managed to find some Ian Fleming - James Bond novels and some Charlie Higson - Young Bonds, but unfortunately I already had them in my collection. 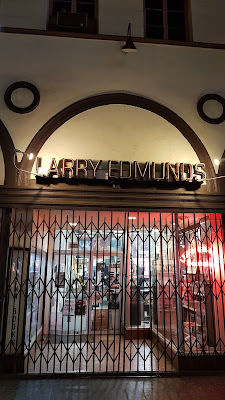 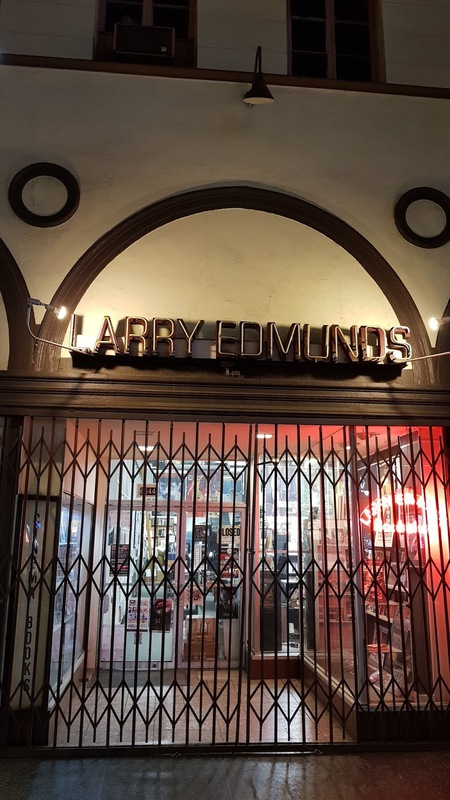 Back in LA we ventured by foot to Larry Edmond's Bookshop. 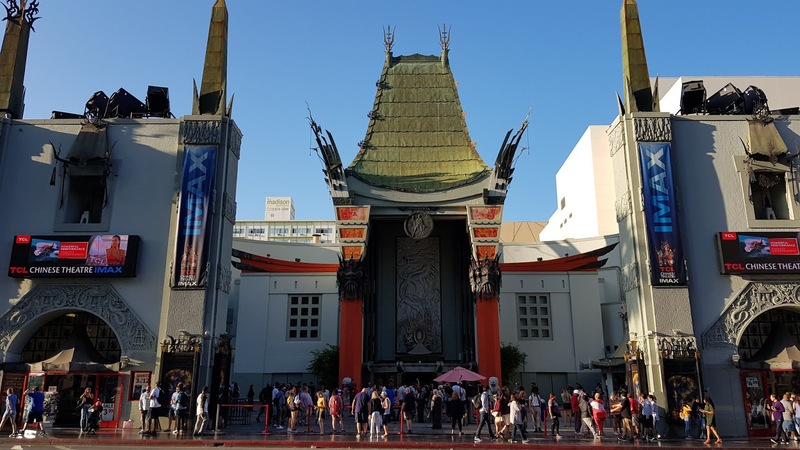 Located close to the Grauman's Chinese Theatre on Hollywood Boulevard this store is a cinema lover's paradise. Lobby cards, posters, film stills, books, magazines... anything you could want as a souvenir from Hollywood. 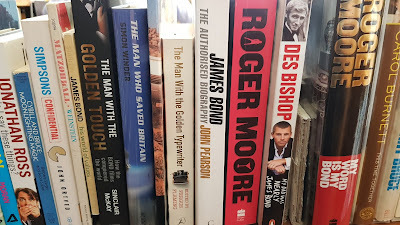 While there I looked specifically for items about "On Her Majesty's Secret Service" but couldn't find any. 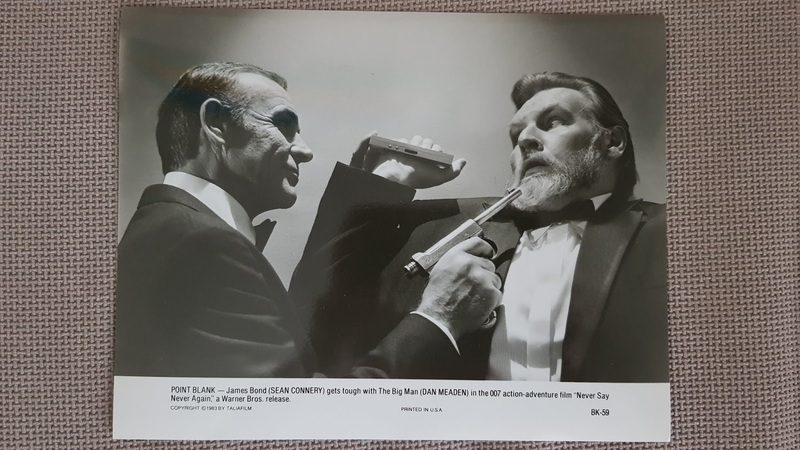 Then I spent time going through Bond movie stills and ended up purchasing these five press release images from "Never Say Never Again". 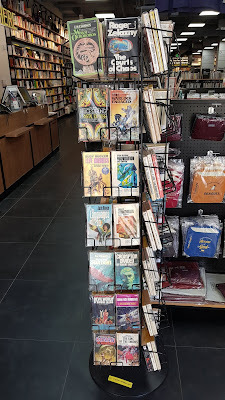 The guy behind the counter was really helpful too. 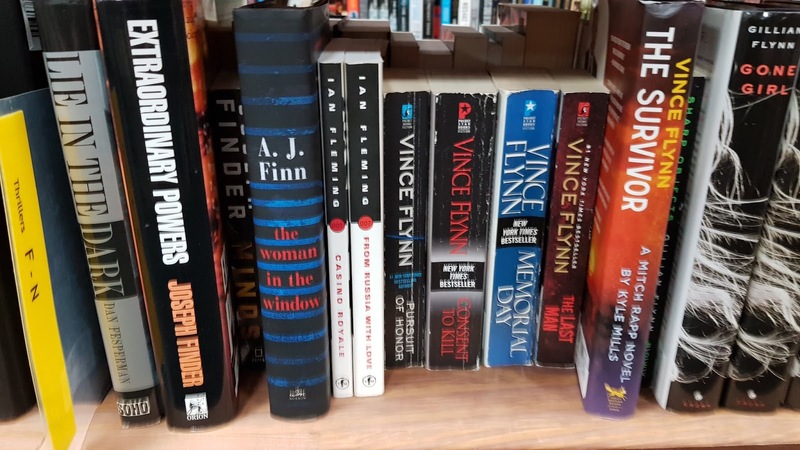 Who needs a computer inventory system when you've got a memory like his. After leaving Edmond's I stopped by Grauman's Chinese Theatre and snapped this photo of Sean Connery's imprints in the concrete. 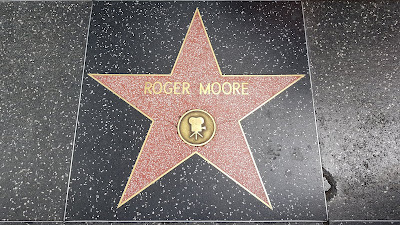 And Roger Moore and Pierce Brosnan's stars on the Hollywood Walk Of Fame.